Last season on Shadowhunters, fans got to see a beautiful friendship grow between Clary Fray and Isabelle Lightwood. They bonded over their struggles, they leaned on each other during tough times, and they were always on each other’s side. 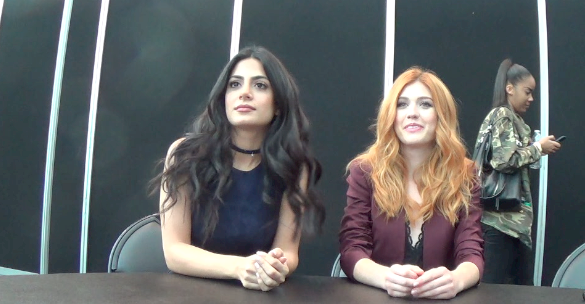 But things aren’t going to be smooth sailing for Clary and Isabelle’s friendship in season two. But it sounds like both Clary and Izzy are going to be dealing with personal issues that are going to put a strain on their relationship. Watch the full interview below where McNamara and Toubia discuss Clary and Simon’s burgeoning relationship, Sizzy on the back burner for the time being, and more.